Why did the creators of smore's name it that? Because after you eat one you want some -more. 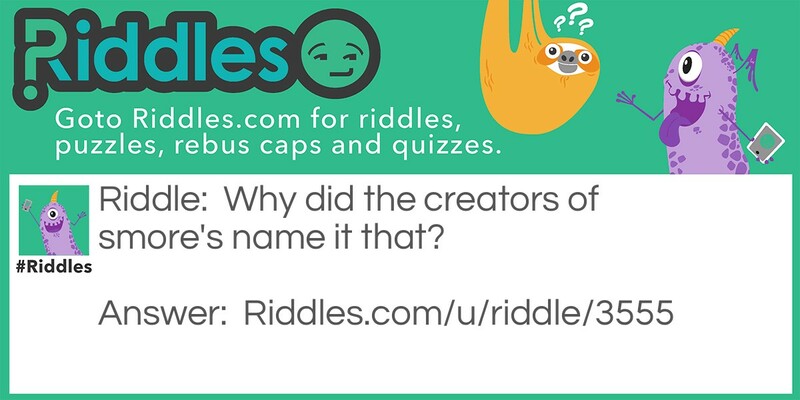 Smores Riddle Meme with riddle and answer page link.